Bamboo flooring is a great option in flooring for lots of reasons especially when you are living in Toronto, Mississauga or Brampton and our stores are located nearby for you to go and check Bamboo Floors right there. One of its great features is that it is ecologically friendly. Bamboo is actually grass rather than wood, and grows extremely fast by comparison. When bamboo is harvested, only the thick stalks are cut down and the remainder of the plant remains intact, so it simply continues to grow until the next time it is harvested…no replanting required! Within 5 years a bamboo plant is tall enough to be harvested compared to an oak tree that takes 60 to 120 years to grow to a suitable size for making hardwood floors. Bamboo flooring is currently a popular choice for homeowners because of its light colour which continues to be a flooring trend in 2017. Light coloured floors can give a room a fresh and spacious feel to them. Stained bamboo flooring is also an available option. Maintenance of bamboo floors is comparable with that of hardwood floors. Wet spills should be wiped up quickly, and dry dusting or vacuuming used to pick up loose dirt. Because of the similarities between bamboo and hardwood, it is important to note that bamboo flooring is also sensitive to moisture and for that reason should be in a humidity controlled environment and using a wet mop for cleaning should be avoided. With respect to pricing, bamboo flooring is generally at a similar price point as hardwood floors. There are some down sides to bamboo related to the practices and standards that are used in its production. Most of the bamboo comes from China where land is being cleared to plant bamboo for the flooring industry. This can have a negative impact on the natural habitat of other plants and animals, as well as cause soil erosion. Although bamboo doesn’t need fertilizers to grow quickly, it can still be used along with pesticides and herbicides to enhance its growth. As well chemicals used in the manufacturing process may not meet acceptable North American standards. As always, it is best to inform yourself and do your homework when it comes to purchasing flooring! 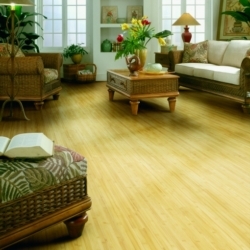 At Décor Floors we know all about bamboo flooring. Our years in the business, our expert staff, and our dedication to selling only quality products makes us a company you can completely trust with all your flooring needs. We also provide professional installation and a shop-at-home service to make us a complete one-stop shop for flooring. 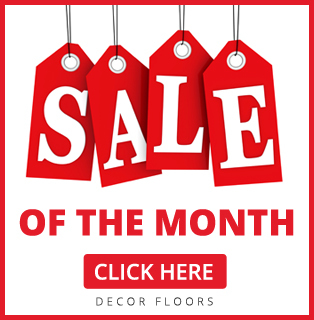 Visit us at our store locations (Toronto, Mississauga, and Brampton) and let’s get started on your next flooring project!